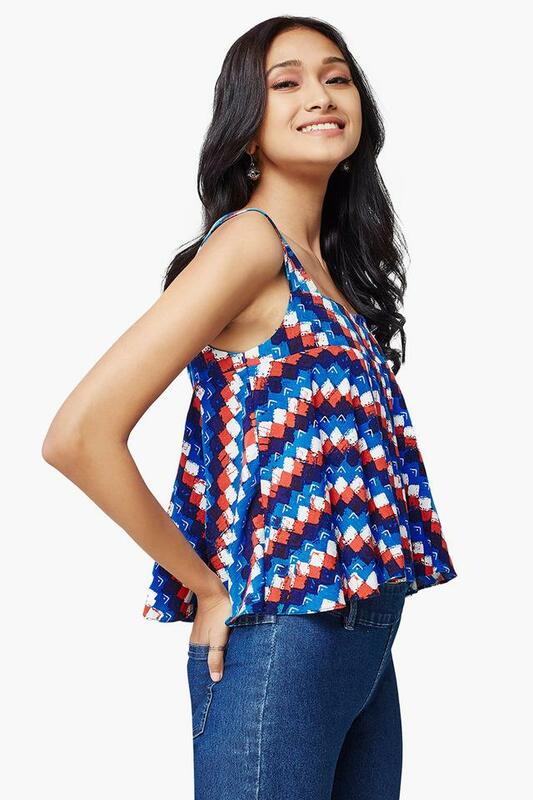 Head to any casual outing in style with this top from Global Desi. Made of good quality fabric, this top is comfortable to wear. 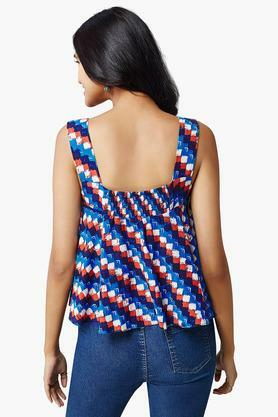 This sleeveless top features square neck and printed pattern, this top boasts of stunning magnetism. As this top is made of good fabric which makes you feel comfortable. Be the ambassador of classy style by wearing top from Global Desi. You can wear it with a pair of contrasting shorts and shoes for a complete look.